Timberland White Ledge and Timberland Chocorua are popular boots that are loved by many because of their robustness and waterproofing. These two models do share many similarities. However, there are also several notable differences between Timberland White Ledge vs Chocorua that allow them to excel in different aspects. So, which one is better? First of all, let’s see the similarities that Timberland White Ledge vs Chocorua share with each other. You are probably interested in these boots because they won’t let your feet become wet regardless of the terrain and weather condition. Although they do use different materials and technologies, yes, they both are indeed practically 100% waterproof. See also: Rocky S2V vs Garmont T8. Both of the two models are mainly constructed from full-grain leather, and they both have metallic eyelets. As the effect, both boots are incredibly durable. Full-grain leather is virtually resistant to wear and tear. So, these boots will be able to withstand usage in even the most extreme environmental condition, and they will last for a long time. Both models are ankle high. They provide excellent ankle support. Both models are equally good in preventing your from tripping and twisting an ankle. This is a very important feature for trekking and hiking boots. They both have removable insoles, so you can use your own insoles if you need to. People with serious foot pain may want to use specially designed insoles that can prevent the pain. Both Timberland White Ledge and Timberland Chocorua have built-in insulation to keep your feet warm when you are hiking in a cool place. This is incredibly useful. But don’t worry; these boots have also been optimized to be highly breathable, so that they will stay cool when you are hiking in the summer. The eyelets of Timberland White Ledge are smaller. This boot uses D-rings, which are solid and not very slippery. The advantage is that these eyelets will keep your boots tight and snug very well. The disadvantage is that the eyelets make it rather difficult to move and adjust the laces. On the other hand, the eyelets of Timberland Chocorua are circular and large. They look very nice. They allow you to adjust and tie your laces easily. It doesn’t take much effort to tighten the boots. However, if the laces happen to get loose, the boots will loosen right away. Although it is true that both Timberland White Ledge and Timberland Chocorua provide excellent ankle support, their insoles are different. As the effect, their overall support characteristics differ quite significantly. Timberland White Ledge comes with a dual-density EVA foam footbed. This insole is soft and incredibly comfortable. It has impressive shock absorption. It ensures that your feet will never get sore or painful due to walking long distances. In other words, Timberland White Ledge is an excellent choice if you are going to walk a lot or if you often need to deal with foot pain. On the other hand, Timberland Chocorua only has a standard EVA foam insole. To be honest, this is not bad at all. It performs well in supporting the arches of the feet. It is also fairly soft, and it can absorb impacts to a degree. However, still, Timberland Chocorua is not as comfortable and supportive as Timberland White Ledge. One big difference between Timberland White Ledge vs Chocorua is the ventilation. The White Ledge is generally a hotter and sweatier boot than the Chocorua. This does not mean that the White Ledge is very hot. It is just, if your main concern is ventilation and breathability, the Chocorua is a better choice. Timberland White Ledge does not have any special feature to enhance the breathability. There are just a few small fabric parts on the sides and near the back of the heel to allow some air circulation. If you are going to use the boots in a hot place, Timberland White Ledge is not the most recommended option. Timberland Chocorua does have more fabric parts. It has mesh uppers which ensure that your feet will not become too hot and sweaty. 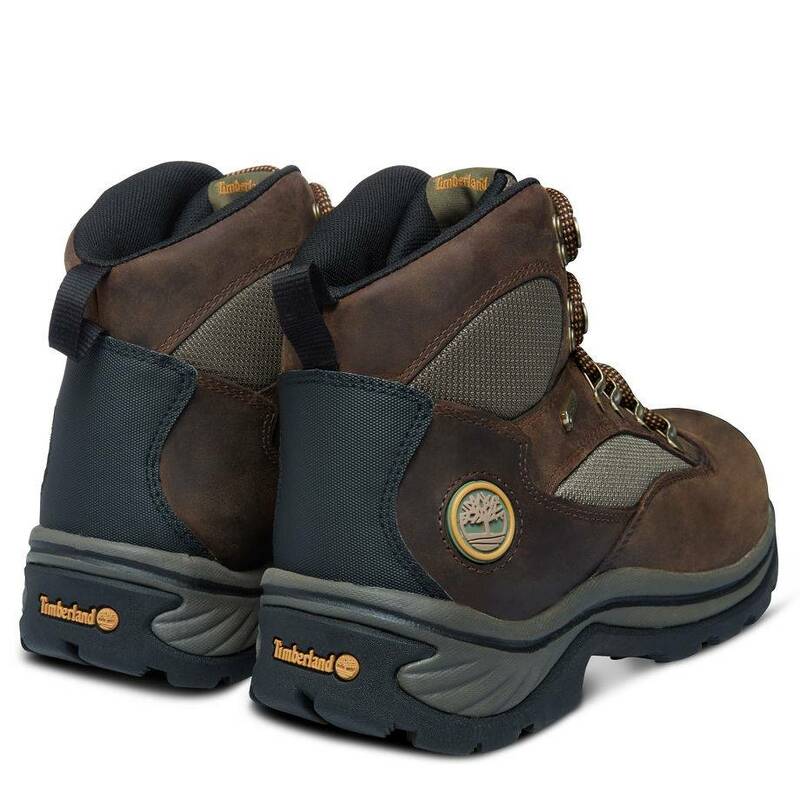 In addition, the waterproofing material used by Timberland Chocorua is also breathable. This boot model is suitable for walking in hot places. 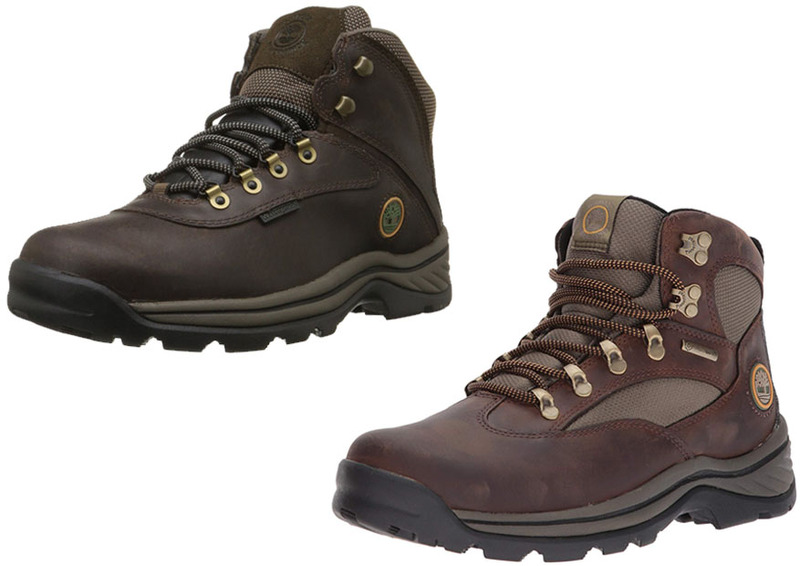 For sure, both Timberland White Ledge vs Chocorua are among the most durable hiking boots available in the market. After all, Timberland is always known to produce high quality boots. The White Ledge is slightly more solid and protective, but the Chocorua is also good. Timberland White Ledge has more leather than fabric. The leather build is very sturdy and robust. It will never let any thing break through. In addition, Timberland White Ledge has a tough leather shield on the back of the heel. This leather shield provides enhanced protection against harsh terrain as well as wear and tear. Timberland White Ledge does not have a Gore-Tex membrane. Even so, it is still completely waterproof. It has water-repelling fabrics and waterproof seams to keep wetness outside. On the other hand, Timberland Chocorua is slightly less sturdy because it has more fabric parts. Also, it does not have a thick leather shield on the heel. But it is still highly durable. Timberland Chocorua is equipped with a Gore-Tex membrane which is perfectly waterproof yet breathable, hence allowing you to walk through muddy waters without a problem. Both of these two boots are great. You can’t really go wrong with either model. 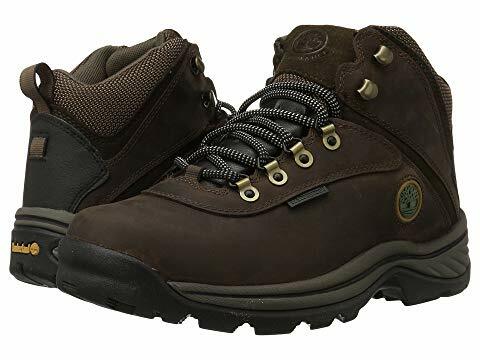 However, Timberland Chocorua is generally more recommended because of the excellent qualities in breathability, comfort, and protection. It is more breathable while still being waterproof, thanks to the Gore-Tex membrane. The fit is also easier to adjust, thanks to the large eyelets.